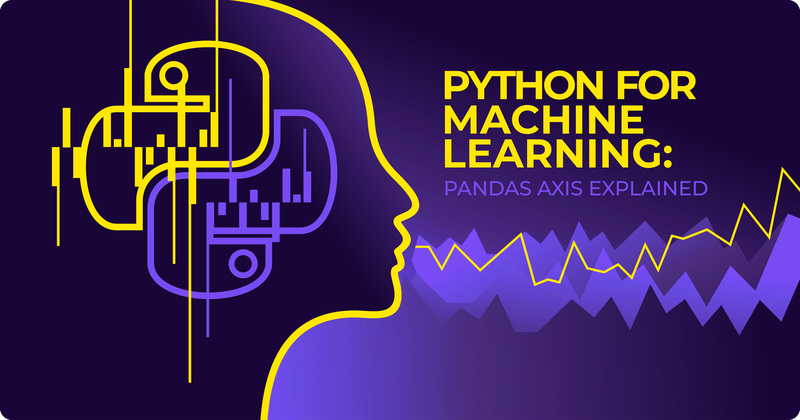 Pandas is a powerful library in a toolbox for every Machine Learning engineer. It provides two main data structures: Series and DataFrame. Many API calls of these types accept cryptical “axis” parameter. This parameter is poorly described in Pandas’ documentation, though it has a key significance for using the library efficiently. The goal of the article is to fill in this gap and to provide a solid understanding of what the “axis” parameter is and how to use it in various use cases including leading-edge artificial intelligence applications. Series is a one-dimensional array of values. Under the hood, it uses NumPy ndarray. That is where the term “axis” came from. NumPy uses it quite frequently because ndarray can have a lot of dimensions. Series object has only “axis 0” because it has only one dimension. The arrow on the image displays “axis 0” and its direction for the Series object. Usually, in Python, one-dimensional structures are displayed as a row of values. On the contrary, here we see that Series is displayed as a column of values. A DataFrame object has two axes: “axis 0” and “axis 1”. “axis 0” represents rows and “axis 1” represents columns. 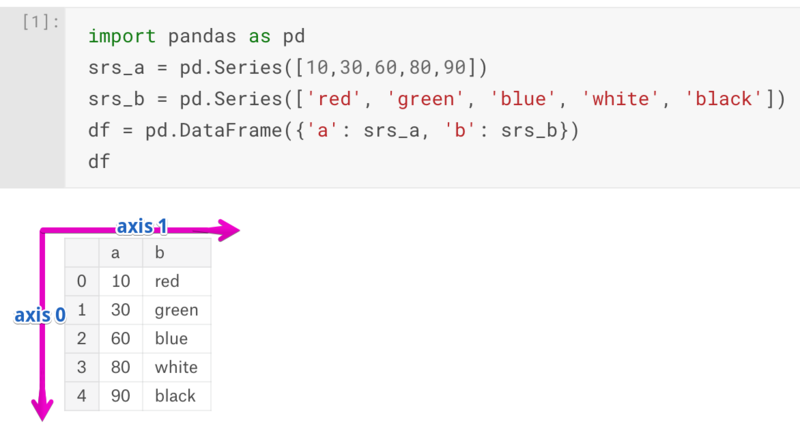 Now it’s clear that Series and DataFrame share the same direction for “axis 0” – it goes along rows direction. Our DataFrame object has 0, 1, 2, 3, 4 indexes along the “axis 0”, and additionally, it has “axis 1” indexes which are: 'a' and 'b'. We see, that having sum with axis=0 smashed all values along the direction of the “axis 0” and left only columns( 'a' and 'b') with appropriate sums. Here .dropna filters out any row(we are moving along “axis 0”) which contains NaN value. Now .dropna collapsed “axis 1” and removed all columns with NaN values. Columns 'a' and 'b' contained NaN values, thus only 'c' column was left. Pandas borrowed the “axis” concept from NumPy library. The “axis” parameter does not have any influence on a Series object because it has only one axis. On the contrary, DataFrame API heavily relies on the parameter, because it’s a two-dimensional data structure, and many operations can be performed along different axes producing totally different results.